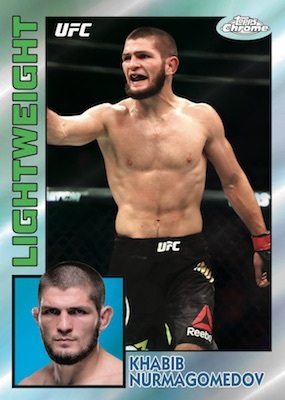 Some of the best MMA fighters come with a little extra shine in 2019 Topps UFC Chrome. Of course, that shine is the chromium technology that makes Topps Chrome popular across several sports and entertainment brands. 2019 marks the third year for Chrome UFC, with 2017, 2018 and 2019 each promosing two autographs per Hobby box. Featuring legends, veterans and new stars of Ultimate Fighting Championship, the base set borrows the Chrome MLB flagship design from baseball. Cards for the first-year fighters display the RC logo. With that comes multiple Refractor parallels, including 11 expected per box. 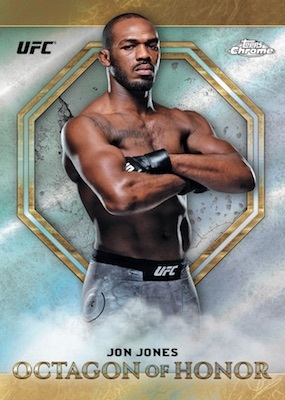 Combining to average 1:2 packs overall, inserts in 2019 Topps UFC Chrome include 1984 Topps with the retro baseball design. The set also incorporates two established brands via UFC Fire and 2019 Knockout, which has a standalone UFC set. 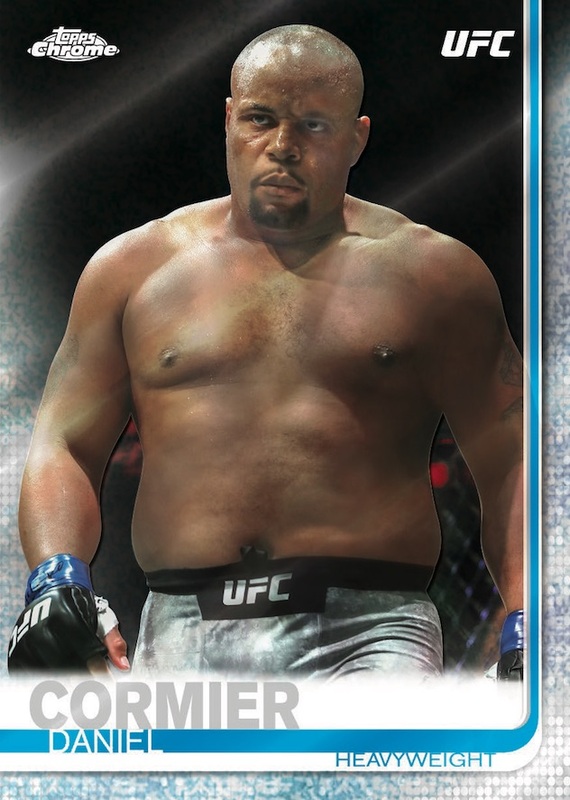 New for 2019, Octagon of Honor covers notable fighters from past and present, while Future Stars offers another baseball design crossover, this time to identify the rising talent. Each insert line comes in Wave Refractor (#/99), Pulsar Refractor (#/50) and SuperFractor (1/1) parallels, as well. 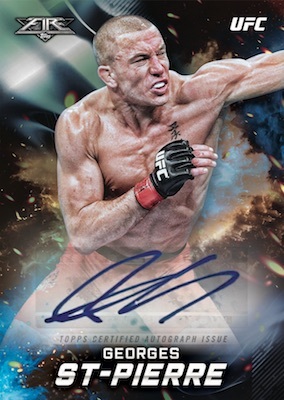 Other than that, the 2019 Topps UFC Chrome checklist is comprised of signed cards. The main option is the Fighter Autograph set that uses the base design and a smaller rainbow of Refractor parallels. The inserts noted above also have an Autograph edition that is numbered to five copies. 2018 Topps UFC Chrome Curtis Blaydes (#7 25) (ORANGE) 1ST AUTO ROOKIE CARD!!! SEAN O'MALLEY 2018 Topps UFC Chrome RC Rookie Refractor Autograph "Sugar"
2018 Topps UFC Chrome Henry Cejudo Orange Refractor Auto 1 25 !! "125" lb Champ!